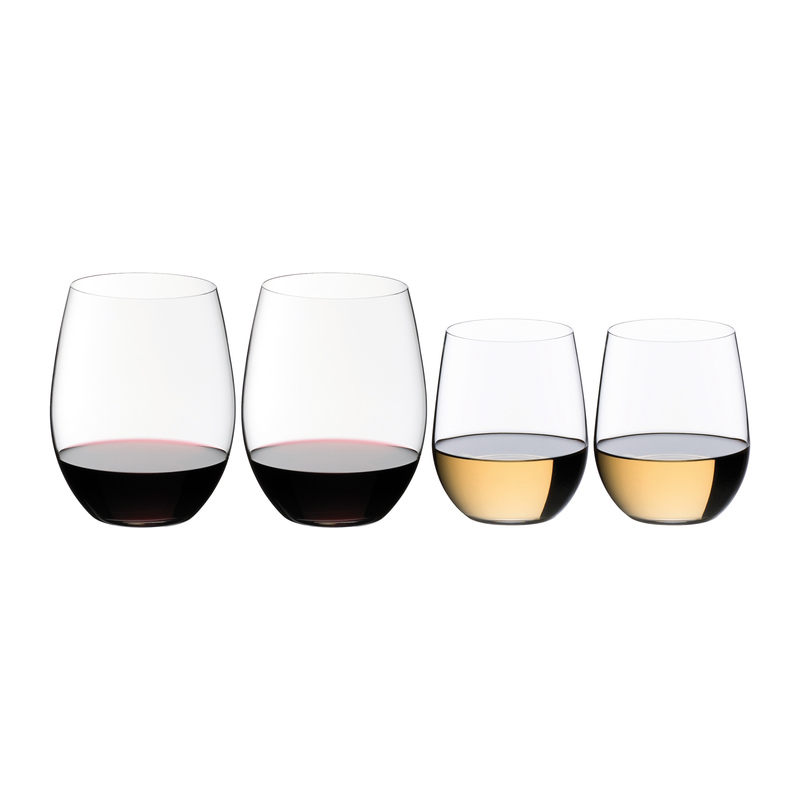 Relax and indulge in a delicious glass of your favorite wine with this value set of four Riedel O wine tumblers. This set includes two Cabernet or Merlot glasses and two Viogner or Chardonnay glasses. Made from non-leaded crystal, they are appropriate for fine wine enjoyment, as well as casual sipping. The designs of "O" glasses are based on the benchmark shapes of Riedel Vinum. The design parameters, such as the shape of the tumbler, and the size and diameter of rim, have been fine tuned to enhance red and white wines.